Superb new concert recording of this "fusion all-stars" group. This double CD release has Allan Holdsworth doing what we all love him to do - just playing the daylights outta his guitar! About a third of the tunes are written by Holdsworth, about a third by keyboardist Alan Pasqua, one by Wackerman, one "cover" and a group improvisation. Everyone reading this should be familiar with the amazing drumming of Chad Wackerman and the incredible bassist Jimmy Haslip (of Yellowjackets fame). So this really is a fusion "super-group" and is nothing less than one might expect from such a meeting! All Holdsworth fans should have this excellent release for sure!!! 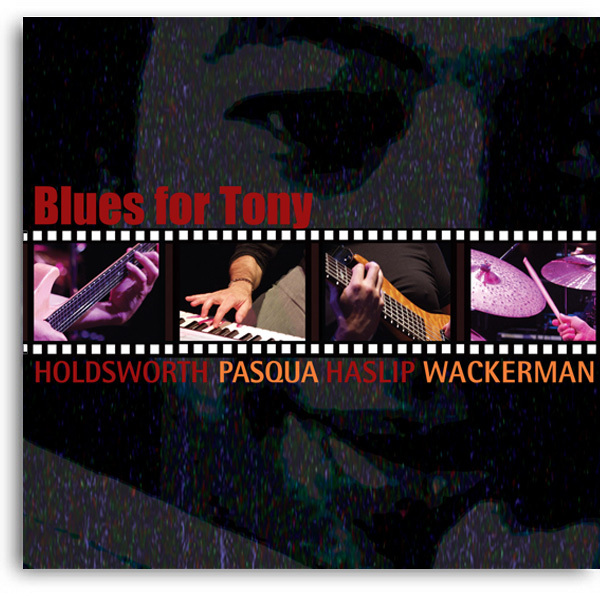 Notify me of updates to Holdsworth/Pasqua/Haslip/Wackerman "Blues For Tony"